The Heart of Wessex Day Ranger is a one day rail pass that gives you unlimited rail travel in Wessex (Bath, Bristol and parts of Somerset and Dorset). This pass lets you travel from Bath and Bristol to Swindon and Weymouth. 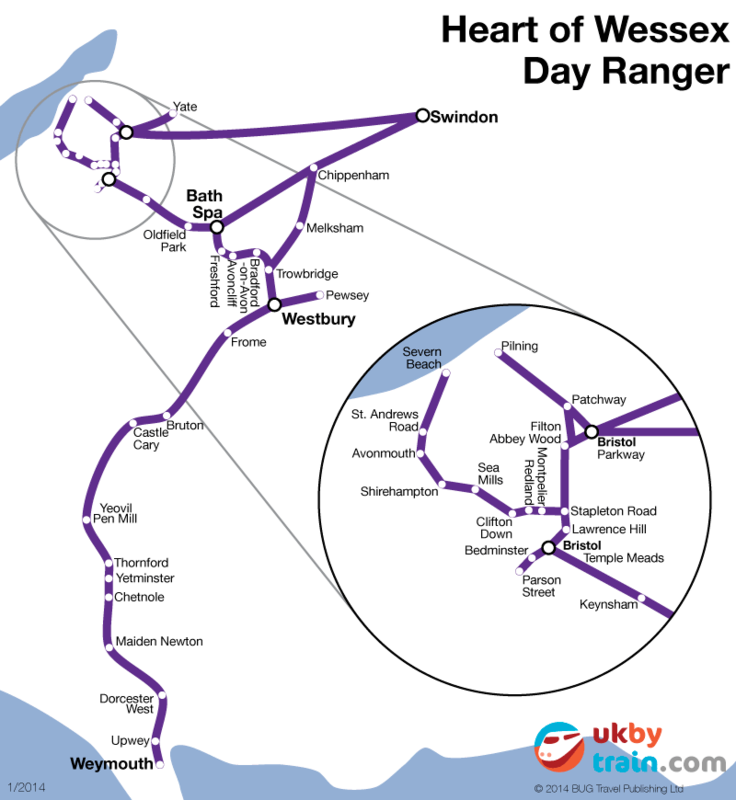 The Heart of Wessex Day Ranger rail pass a great value way of exploring the local area, for shopping, walking and visiting all sorts of attractions.